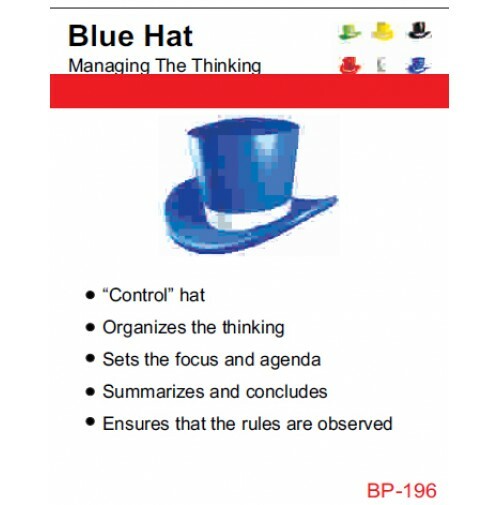 NSB Poster : Blue Hat - Managing the Thinking. Seller: TechnoConcept India Pvt. Ltd. Posters are printed in high resolution. Posters are laminated with 3 mm plastic board, and we use only 3M India Material. Price are Inclusive of packaging charges and shipping charges extra.